The Alternative Investment Market (AIM) was launched on 19 June 1995 as a sub-exchange market of the London Stock Exchange (LSE). The market was designed to help small, high-growth companies that are keen on raising capitalEquity Capital Market (ECM)The equity capital market consists of the primary and secondary market where stocks are traded. This market includes dealer and OTC markets. The equity capital market is a subset of the broader capital market, where financial institutions and companies interact to trade financial instruments and raise equity capital for expansion. It has less onerous regulatory requirements, such as no set requirements for market capitalization or the number of shares issued, things that might hinder small companies from participating in the London Stock Exchange. At the launch date, the Alternative Investment Market had only ten companies, valued at a total of £88.2 million. Since then, the number of AIM-traded stocks has grown to represent over 3600 companies from around the world that take advantage of the opportunity to raise equity capital. The Alternative Investment Market attracts small companies, from various market sectors, that are looking to raise capital – usually somewhere between £1m and £50m – through an Initial Public Offering (IPO)IPO ProcessThe IPO Process is where a private company issues new and/or existing securities to the public for the first time. The 5 steps in an Initial Public Offering are discussed in detail including selecting an investment bank, due diligence & filings, pricing, stabilization, & transition to transition to normal trading. However, some AIM-listed companies have registered huge amounts of capital raised beyond this range, up to as much as £100m. The companies listed on the AIM come from 37 different market sectors and from over 25 countries across the globe. Companies operating in the market sectors of Healthcare, Finance, Oil and Gas, Technology, Industrials, and Consumer Services are the most frequently represented in the AIM. The Sarbanes-Oxley Act of 2002, which substantially increased regulatory requirements for all publicly-traded companies in the U.S., spurred dozens of U.S.-based companies to seek a listing on the more welcoming AIM in London. Most companies listed on the AIM use the opportunity as a stepping stone to getting listed on the primary exchange, the London Stock Exchange. Investors are attracted to trading the alternative market due to significant tax benefits and the belief that it’s the right place for “the next big thing”. According to a study conducted by TD Direct Investing, the majority of AIM investors are relatively young investors, in the 30- to 44-year-old age bracket. 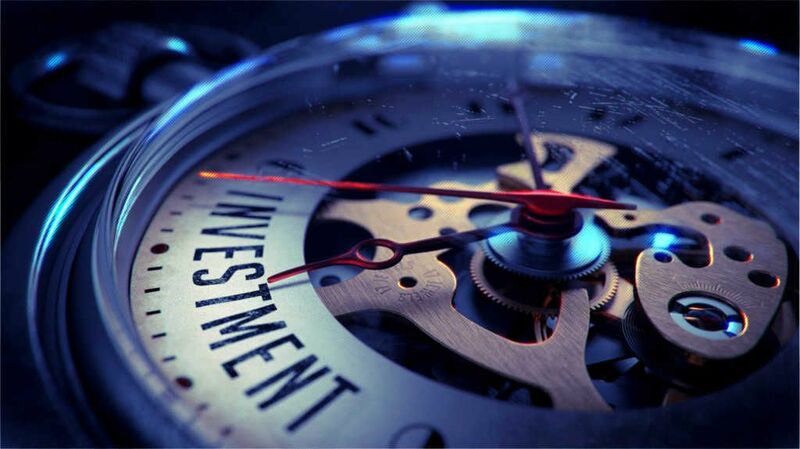 Investing in companies listed on the AIM offers excellent potential returns on investment, but investors need to be keenly aware of the fact that most of the stocks trading on the AIM exchange are considered to be high-risk investments and commonly experience high levels of volatility associated with the market. Companies that have made the decision to get listed on the AIM are first required to identify and appoint a “nomad” to help them get to the market. Nomad stands for “Nominated Advisor”. Nomads are experienced in guiding new companies in the flotation process and have a thorough understanding of the needs of companies seeking admission into the market. They provide a guarantee to the shareholdersShareholder PrimacyShareholder primacy is a shareholder-centric form of corporate governance that focuses on maximizing the value of shareholders before considering the interests of other corporate stakeholders, such as the society, community, consumers, and employees. that the company’s operations are reasonable during the initial share flotation process (the IPO) and during subsequent periods. For a firm to become a nomad on the AIM, they must meet the eligibility criteria outlined in the AIM Rules and also complete the appropriate application documents. The AIM’s regulation team reviews the firm’s application, and also holds discussions with the firm in detail. Prior the approval of a nomad, the firm and its executives will be subject to a gazetting period. Other advisors included in the admission process include law firms, accountantsAccountingOur Accounting guides and resources are designed as self-study guides to learn accounting and finance at your own pace. Browse hundreds of articles on important topics such as the income statement, balance sheet, cash flow statement, depreciation methods, how to link the 3 statements, debits & credits, journal entries, brokers, and public relations and investor relations firms. The advisors are required to be a firm, or company, rather than an individual. The AIM Rules for Nominated Advisors guides nomads on their ongoing responsibilities and on review and disciplinary procedures in the event that they are accused of acting improperly in their role as nomads. After the appointment of advisors, a company seeking to be listed on the AIM is required to prepare an admission document that includes important information about the company. The admission document comprises the list of company directors, annual financial statements, information on business activities the company is engaged in, and the company’s overall business plan or strategy. Although many people view AIM stocks as a high-risk investment, the tax benefitsTax ShieldA Tax Shield is an allowable deduction from taxable income that results in a reduction of taxes owed. The value of these shields depends on the effective tax rate for the corporation or individual. Common expenses that are deductible include depreciation, amortization, mortgage payments and interest expense that come with AIM investments make them very appealing to a lot of investors. The Alternative Investment Market offers investors various ways of taking advantage of government-sponsored tax relief such as the Capital Gains Tax Relief, the Business Property Relief, and other forms of loss relief on shares invested in through Venture Capital Trusts (VCT) or that qualify for the Enterprise Investment Scheme (EIS). Investors in many companies listed on the exchange qualify for the Business Property Relief that grants up to 100% Inheritance Tax Relief on the transfer of value of stock shares. A transfer of value occurs when a family member dies or when shares are transferred as a lifetime gift within the last seven years of the life of the person gifting them. The qualifying BPR investment must have been held for at least two years prior the time of death to qualify. The full BPR relief is only applicable to investments in small, unquoted companies, and the investors must have invested in the shares directly. In special circumstances, wealth managers may create discretionary portfolios of established and growing companies for Inheritance Tax Relief purposes. Some companies on the AIM may qualify to offer shares through an enterprise investment scheme (EIS). In the event that a company is failing and its shares becoming worthless, investing in a qualifying company can grant investors capital gains tax relief and a loss relief. EIS investments offer a 30% up-front income tax relief and can provide up to 100% Inheritance Tax Relief, provided that the funds remain invested at the time of the shareholder’s death. For a firm to qualify for these tax reliefs, it must abide by all of the rather complex and detailed requirements for an EIS for a minimum of three years. Venture Capital Trusts invest in young companies and offer income tax and capital gains tax breaks similar to those offered through an EIS. A VCT offers 30% income tax relief and tax-free dividends as long as the shares are held for the minimum five-year holding periodCurrency RiskCurrency risk, or exchange rate risk, refers to the exposure faced by investors or companies that operate across different countries, in regard to unpredictable gains or losses due to changes in the value of one currency in relation to another currency.. However, VCTs do not provide the Inheritance Tax Relief that an EIS does. Since companies listed on the Alternative Investment Market are typically small, early-stage businesses, they are faced with various risks common to such companies, such as low liquidity in trading their stock, increased risk of an unproven business model encountering problems, and higher risk of experiencing cash flow problems. Whereas there have been many companies listed on the AIM that managed to prosper and eventually cross over to the London Stock Exchange, others do not survive. There are noticeably higher rates of companies trading on the AIM being delisted, as compared to delisting rates for the LSE. For investors with the necessary risk tolerance, however, investing in AIM stocks offers the rare opportunity to get in on the ground floor – at a cheap stock price – with a small company that is just getting started, and then reap the massive rewards when it becomes a success and its stock price increases tenfold or more.